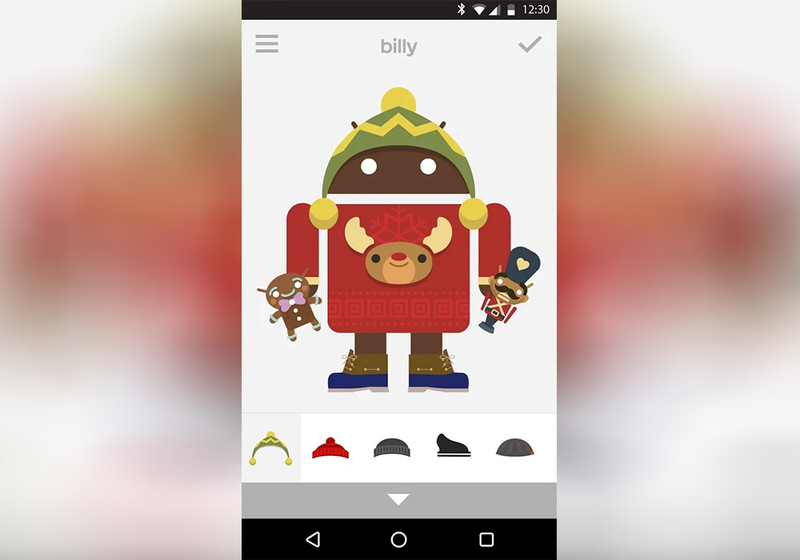 The Androidify app from Google, the one that lets you create your own little Android character, has receive an update today for the holiday season. With the update, you can deck out a new character in holiday gear, like a reindeer sweater and equip yourself with a nutcracker or gingerbread man. Not only are their new clothes and outfits, but Google also threw in new cellular phones for your little character to rock, too. This will allow everyone to know you are a true Nexus fanboy. On top of new content, Google states that bug fixes and optimizations have been worked in. The update is now live on Google Play.